Along with his sculptures, Barye did several bas relief plaques. 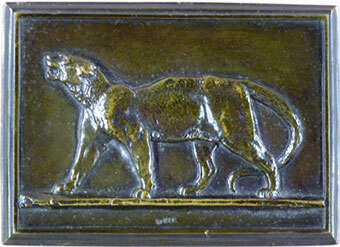 The Panther Plaques are the best known and this is a fine example cast by the Eck & Durand Foundry in the mid 19th century. This model is illustrated in Payne's book Animals in Bronze on page 139.